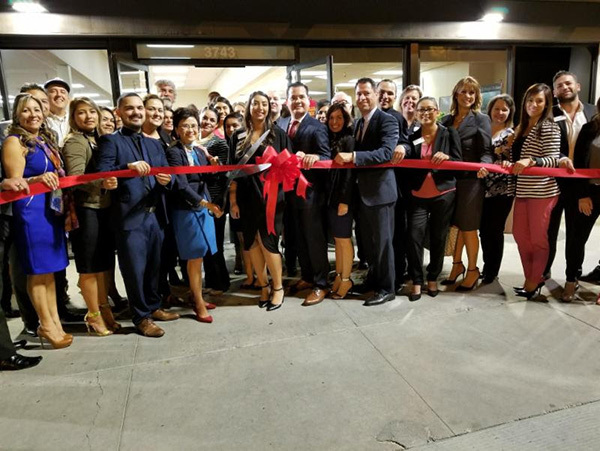 Wells Fargo Bank celebrated the Grand Re-Opening of their NE Branch with a ribbon cutting and November Business Networking Mixer. Photo Gallery Here. 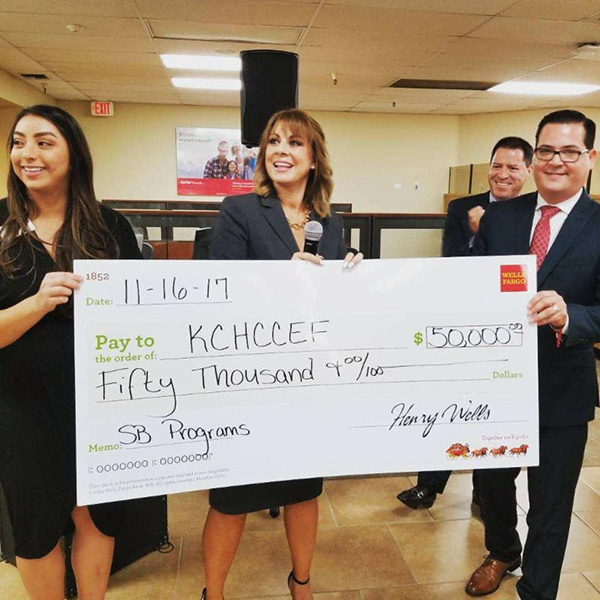 Thank You Wells Fargo Bank for your generous contribution to the Kern County Hispanic Chamber of Commerce Business Education Foundation. Photo Gallery Here. 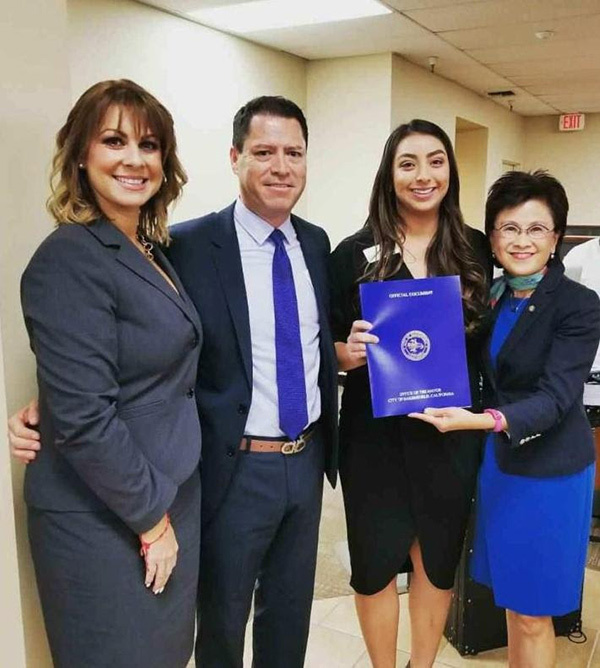 Pictured above: Representatives from Wells Fargo are congratulated by Bakersfield Mayor Karen Goh. Photo Gallery Here. 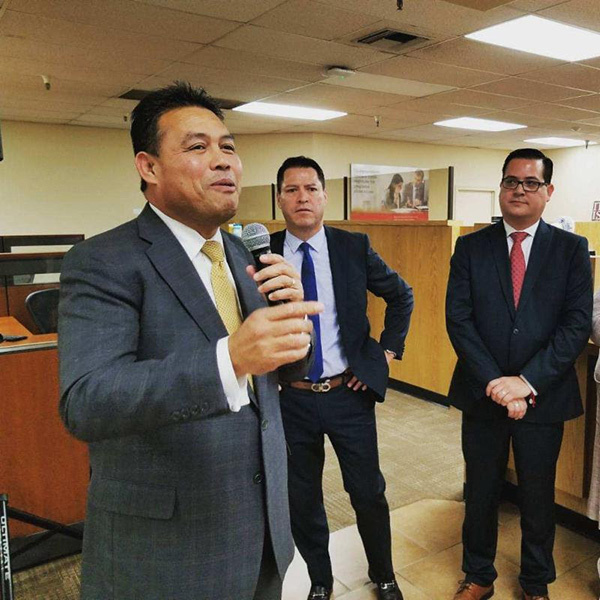 Pictured above from left: Julian Canete, President/CEO of California Hispanic Chambers of Commerce addresses the crowd, joined by Ricardo Villareal (Wells Fargo), and KCHCC President/CEO Jay Tamsi. Photo Gallery Here.